Bringing Redemption back to her former glory and getting her in tip-top performance cruising shape! Its been a bit since my last post for a couple of reasons. First, I have had a irregular schedule at work that has kept me from getting much done on the boat worthy of a large update. Secondly, I am at the point in the repair process where everything has to come together at the same time. Fortunately, these two reasons have worked together harmoniously in my favor to allow me time to research, prepare, purchase, and organize my plan when I get home. Further in detail of the second, I am at the point of this refit where the boat is being painted(hull and bottom coatings), the new engine ordered, mast gear/lights ordered, and shaft/shaft seal ordered. Everything will be coming together at once when I get home. 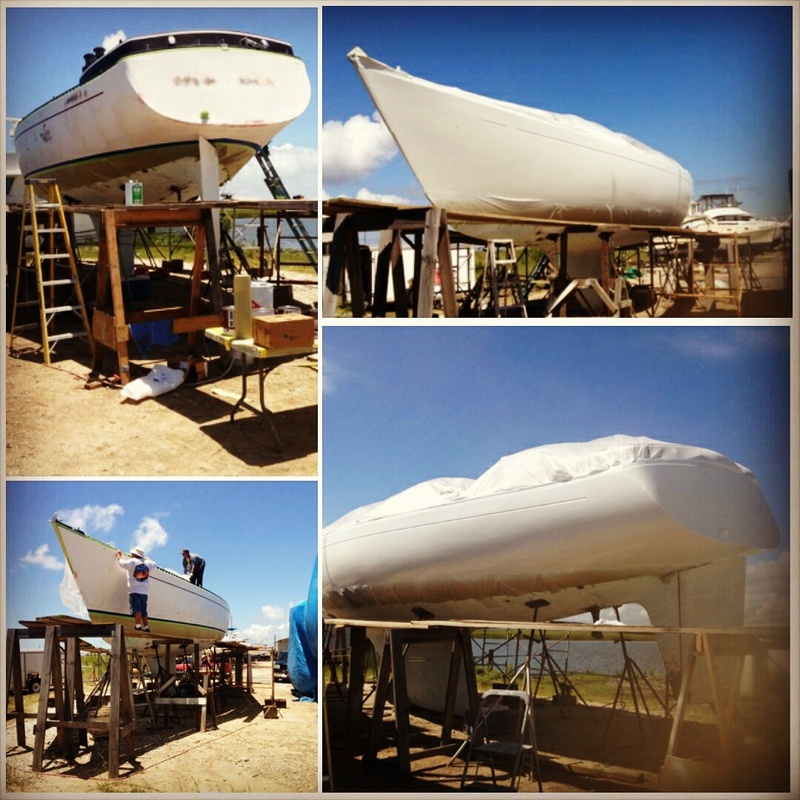 Hoping to install the new shaft and seal and finally, after months of drying out, put her back in the water. Fresh Awlgrip primer last week. After the boat is launched, the mast will get its renewal treatment. After a nice wash and wax, new halyards from Layline and sheaves from both Garhauer Marine and RigRite will be getting ran. As far as electrical, new navigation(Lopolight and Signal Mate) and spreader lights(Rigid Industries) will be installed along with fresh wiring. Also, a Maretron ultrasonic wind sensor will be adorning the top of the mast on its own pole out of the way of turbulent air from the sails and lights. The mast how it lays now. I’m going to try to arrange for a friend who is a rigger to come check out my mast stays and cabling to make sure, for the most part, everything is in good shape. I know this is something that will need to be addressed eventually, but not this year! 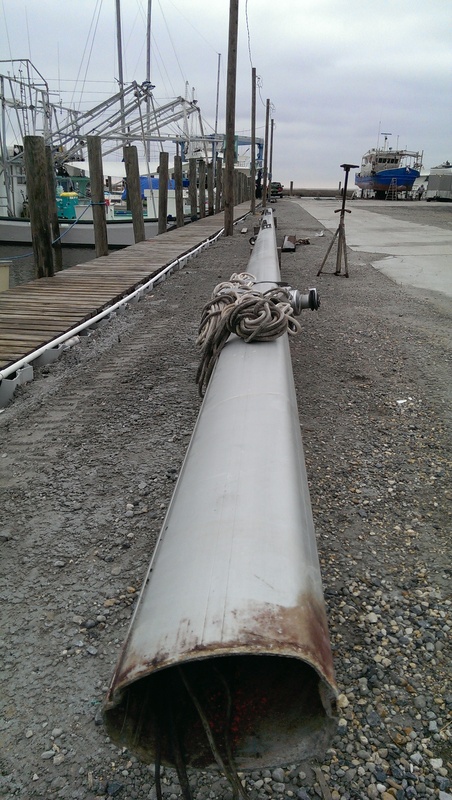 The mast will be stepped and secured in place at our yard, which will be awesome once it is finally installed! The engine will come next but I’ll save that for another post later on!